Users keen on purchasing the Nintendo Switch would find this update useful. Recently the Version 4.0 of the operating system of the console had gone live and along with it included surplus of important new features, fan have been coming since the release of Nintendo. Earlier there was a possibility of capturing in-game screenshots though the latest update would permit users to record video clips from their experience. On holding the button beneath the directional pad of the Switch, the device is capable of capturing the last 30 seconds of the play in an editable video. If the user has been sharing a Nintendo Switch with someone and tends to have their own console, there is a possibility of transferring and save data to the new device. 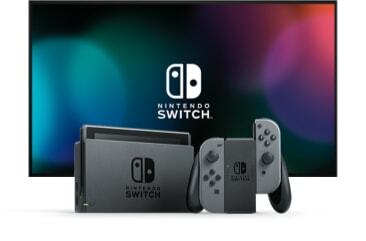 Nintendo explained that transferring user information and save data, enables one to move the user profile together with its associated save data as well as Nintendo eShop purchased from one Nintendo Switch console to another. Data can be moved one user at a time which means that one can pick and opt which user’s data one would prefer to move and which one needs to be retained on the source console. The overall procedure can be accomplished with 10 easy guidelines which have been provided at the site of Nintendo. The waiting period for a video game to come out and over it the longer waiting period for it to load on to your system before one could get to play can be very daunting. Taking into consideration the frustration due to it, Nintendo has made it possible to prepay and pre-load games much ahead of its release. Take for instance the game of Super Mario odyssey. The game was scheduled for release on October 27 but if one intends purchasing it from the online eShop of Nintendo before its release it can be downloaded and ready to play the minute it tends to go on sale to the public. Every user would desire the skill to further modify their profile and the latest update has been providing several more opportunities. Users now have the option of selecting from 12 new Super Mario odyssey as well as The Legend of Zelda: Breath of the Wild icons for their user profile. Though it is only a small change, additional options would always be welcome. Some of the Reddit users have observed that the update tends to come with a provision for USB devices though it might not be a feature which has not been listed on the official list of alterations. All that one needs to do is to just plug the dongle of the device in the Switch dock and one would observe a new volume slider which will only function when the console is docked. There is a possibility of utilising the feature when the Switch is handheld by plugging the receiver in a USB-C adaptor.